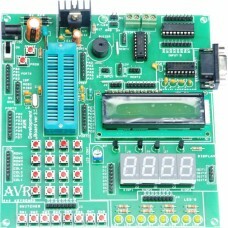 The demo board allows you to easily develop and prototype your designs with AVR microcontroller. All the required software's are available as free download including a C compiler. 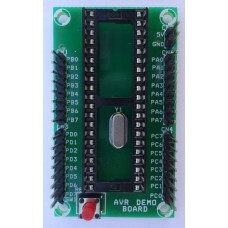 This evaluation board provides an easy and low cost way to develop projects on ATMEGA32 Microcontroller. All the required software's are available as free download including a C compiler. 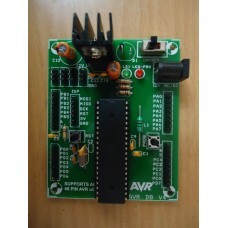 TThis Evaluation board provides an easy and low cost way to develop projects on ATMEGA32 Microcontroller. All the required software's are available as free download including a C compiler. 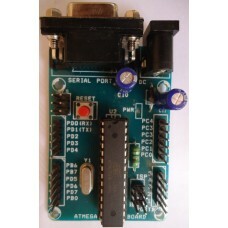 This Development board provides an easy and low cost way to develop projects on ATMEGA8. 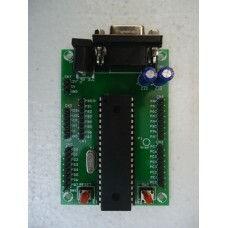 All the required software's are available as free download including a C compiler.